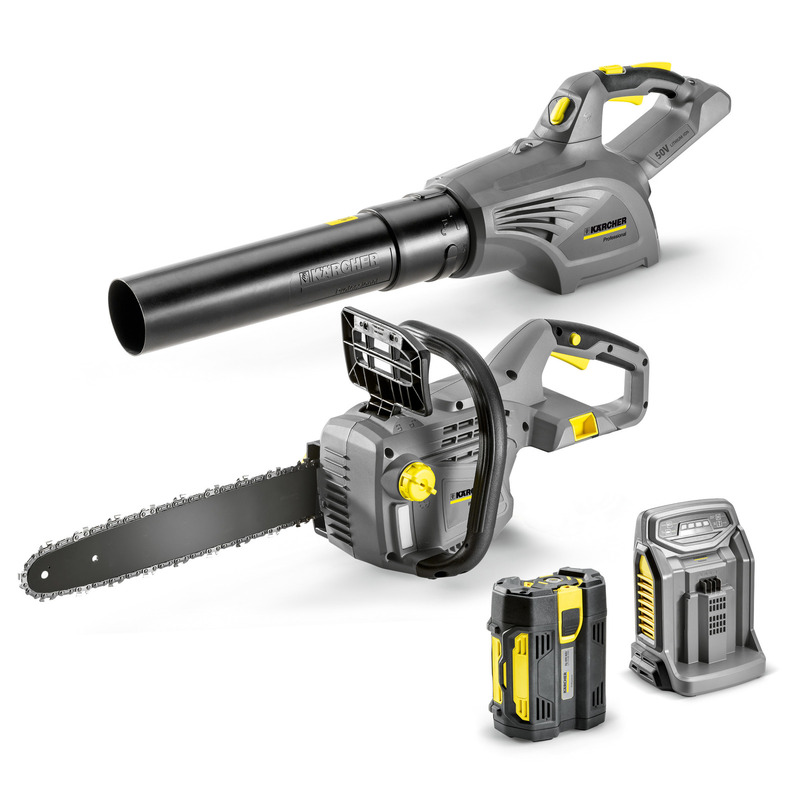 Leaf Blower and Chainsaw Pack *GB 96217730 https://www.kaercher.com/uk/professional/outdoor-power-equipment/leaf-blower-and-chainsaw-pack-gb-96217730.html The perfect partnership for outdoor care and maintenance - whether operating standalone or as an accompaniment to your Kärcher municipal vehicle. The perfect partnership for outdoor care and maintenance - whether operating standalone or as an accompaniment to your Kärcher municipal vehicle. This lightweight, heavy duty leaf blower uses innovative L-ion technology to make public cleaning a breeze: quiet and fume free, with 80% lower vibrations than petrol counterparts it charges up to 50% faster than comparable battery machines. Perfectly suited to noise-sensitive areas such as residential, close to schools and hospitals, or when working in the evenings. It impresses when removing leaves, light rubbish and other contamination in hard-to-reach places, such as under park benches or in corners. Ideal whether operating standalone or as an accompaniment to your Kärcher municipal vehicle. For convenient and needs-based adjustment of the blower speed. Maximum blower speed for the removal of especially sticky leaves and stubborn dirt residues. Maximum flexibility. The compatible battery can be quickly switched to other machines.